It’s almost Christmas time! Are you prepared? Sent your cards? Bought all the presents? Sorted the dinner? Great, then you’re ready for pretty much everyone’s favourite holiday! 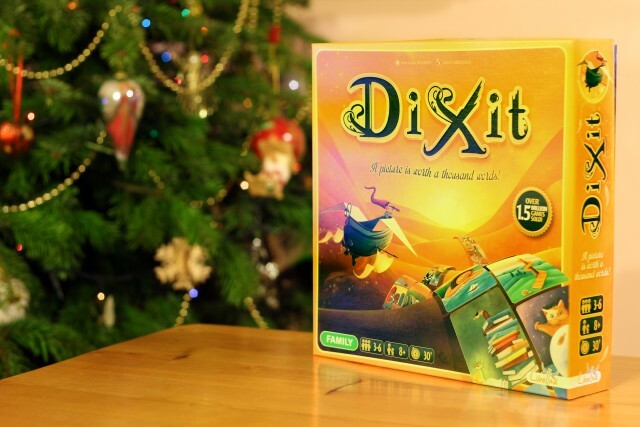 The great game Dixit. It’s one of the best family boardgames out there. It’s imaginative, great for all ages, plays differently each time and most importantly: is really, really fun! 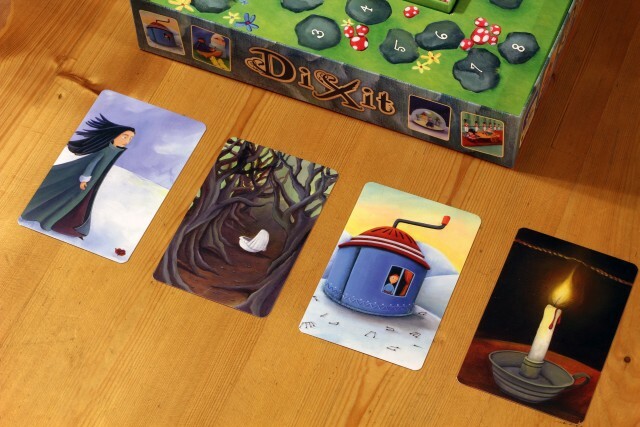 Dixit is a 3-6 player game. I’ll run you through basically how it works but it’s so super simple that I recommend you just buy a copy and learn it through playing it. Within a couple of rounds your whole group will know how it works. First you shuffle the deck of 84 beautiful cards and give 6 to each player (each player can look at their cards but needs to keep them private). The cards are amazing and are like individual, mini works of art, totally fascinating to look at. So here were my first 6 cards. Each round one player in turn will be the story teller. I had this role for the first turn. 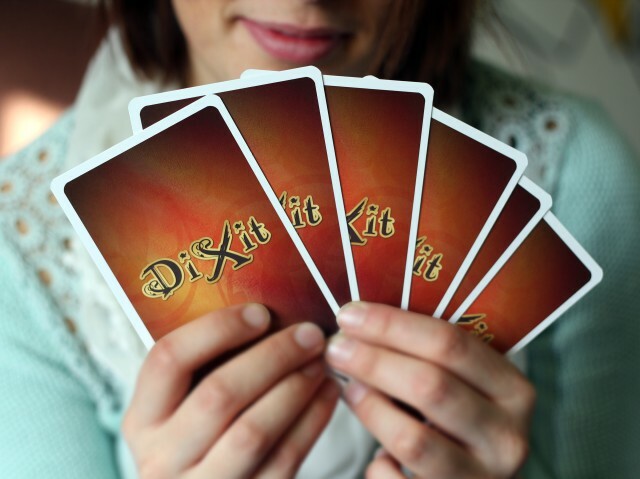 As the storyteller you have to look at the 6 cards in your hand and choose one and say a sentence about it out loud. What you do or say in your sentence is up to you, this is great and is where your imagination comes into play. What happens next is the interesting bit, all the other players select their card that best matches the storytellers sentence. They pass this card face down to the storyteller who shuffles them all up and then lays them face up on the table. Below you can see what this looks like. As you can see the cards are all very intriguing and are just abstract enough that everyone can interpret them a little differently. 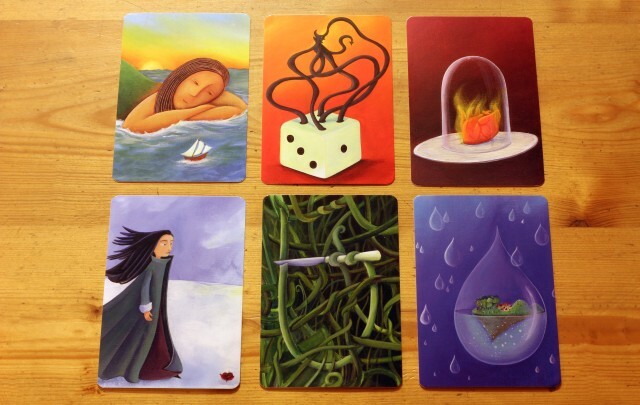 Now with these cards all on view, players vote on which card was the storytellers. The scoring is what makes it challenging for the storyteller. – If all the players guess correctly then they all get a point but the storyteller gets none and everyone else gets 2. – In any other instance the storyteller gets 3 points and so do the players who correctly selected the storytellers image. – Each player (except the storyteller) gets 1 point for each vote placed on their image. It’s this scoring that makes the game so imaginitive and fun to play, the storyteller needs to pick a sentence which is descriptive but still vague, as if everyone gets it correct the storyteller doesn’t get any points, but if no one guesses it they get no points too! So as a storyteller coming up with great sentence is really challenging and fun. The score is kept by moving little wooden rabbits around the board, which is cleverly and gorgeously designed as part of the box. 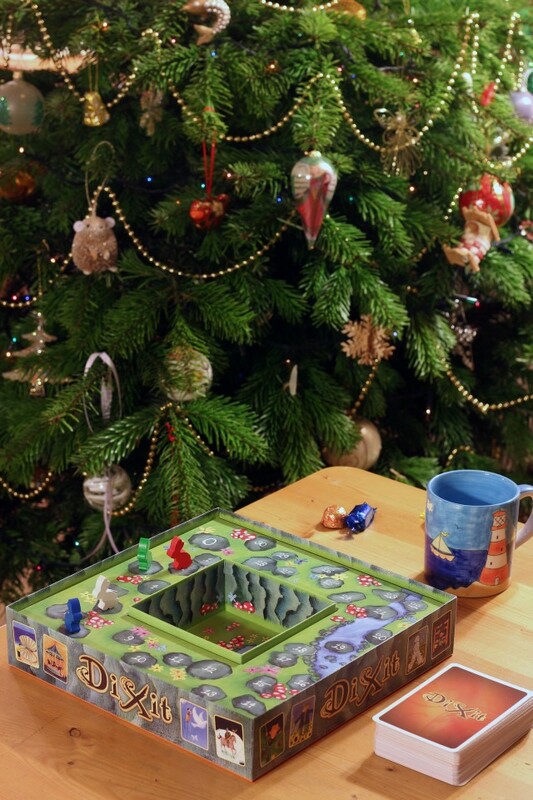 The winner is the first person to make it all the way round the board. I thoroughly recommend this game, it’s a fantastic family game that works well with everyone and is simple yet challenging and very fun! To watch the game played through from start to finish I recommend you check out Will Wheaton’s Table Top video.